Ahhh Healthcare…few things are straightforward with you aren’t they? 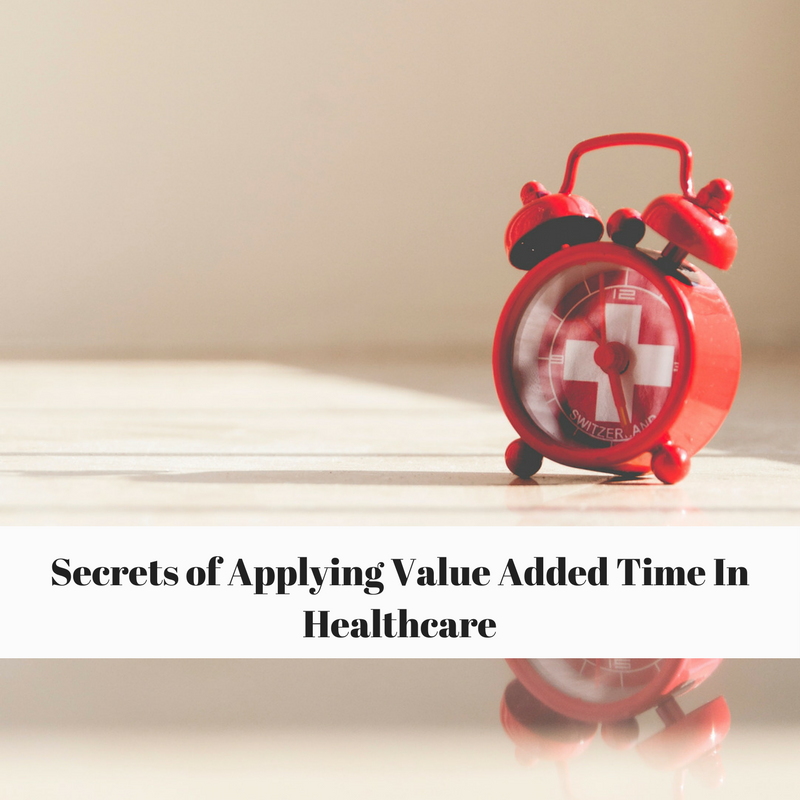 For those of you following along, take this as one more example of the special nuances of applying classic quality concepts in healthcare: value added time. In other fields, value added time (VAT) has a relatively straightforward application. It’s often defined as time spent in a system that contributes value for which the customer will pay. First, we have to remove ourselves from all the buzz and worry about what perhaps should be in Healthcare and focus on what is: the third party payer of some kind (government, insurance company, someone else…) is the person who reimburses for services provided. Sometimes patients pay for their own care. Bottom line: in general, these third party payers decide whether (and how) to reimburse for services rendered based on the note written by the “provider” (whether that be the physician, the advanced practitioner, or someone else). …and that’s where the VAT finds its application. Amazingly, if you haven’t seen it before, the VAT in many systems is only about 1% of the time spent in the system (!) Only 1% of the time we spend doing something is actually contributing value. In healthcare, what is that VAT? One way to look at it is that the VAT in providing care to a patient is the time spent writing the note. Now, of course, what we write in the note has to be things we did or thought about. So if we write we took out an appendix, well, we actually need to have done just that. Writing down things we didn’t do is inaccurate and may even hurt the patient. It’s also probably illegal. If the note is so important for VAT, shouldn’t we make it easier to create the note by improving the user design of Electronic Health Records? If the note is so important for VAT, shouldn’t we embed coders and billers more directly in our systems that create them….even at night and on weekends? If the note is so important for VAT, shouldn’t we encourage collaboration between coding staff and the providers creating the note? The application of VAT in healthcare, in this way, has some interesting consequences for how we improve the value in our systems. In healthcare there are some special issues in application of this definition. For example, who is the payer in the situation? When we say value-added time as anything for which the customer will pay, who is the customer? We usually use a third party payer’s perspective as the answer for “who is the customer” because they are usually the ones actually paying for the services and systems. Rather than talk about who should be paying for services in American healthcare we, instead, focus on who does. In this respect we treat the third party payer, the source of funds, as the actual entity paying for use of services. This also has some interesting consequences. The third party payer, in fact, bases their payment on physician, surgeon or healthcare provider notation. In fact what they actually are paying for is the tangible product they see which is the note. Again, the note the physician, advanced practitioner, or healthcare provider supplies is what the third party payer reimburses. In fact, they also use that as a rational to decline payment. Consider how, if we gave a service but didn’t write it down, we would not be reimbursed. 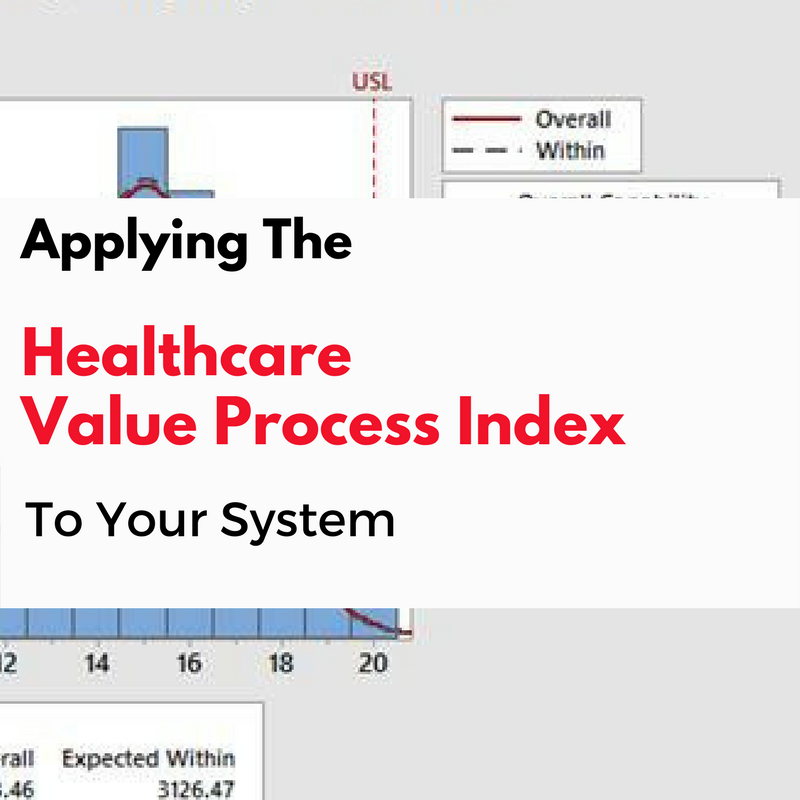 In the last entry, you saw a novel, straightforward metric to capture the value provided by a healthcare service called the Healthcare Value Process Index (HVPI). In this entry, let’s explore another example of exactly how to apply the metric to a healthcare service to demonstrate how to use the index. At America’s Best Hospital, a recent quality improvement project focused on time patients spent in the waiting room of a certain physician group’s practice. The project group had already gone through the steps of creating a sample plan and collecting data that represents how well the system is working. From a patient survey, sent out as part of the project, the team learned that patients were willing to wait, at most, 20 minutes before seeing the physician. So, the Voice of the Customer (VOC) was used to set the Upper Specification Limit (USL) of 20 minutes. 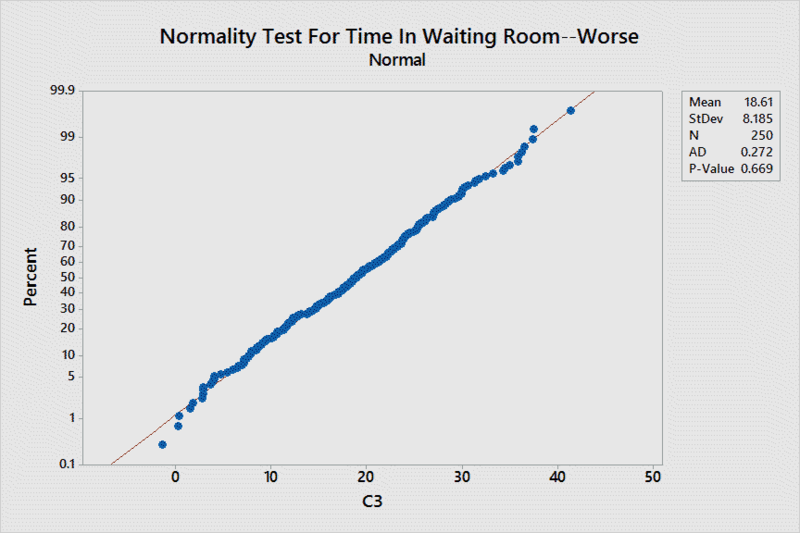 Figure 1: Anderson-Darling test result for time in waiting room. 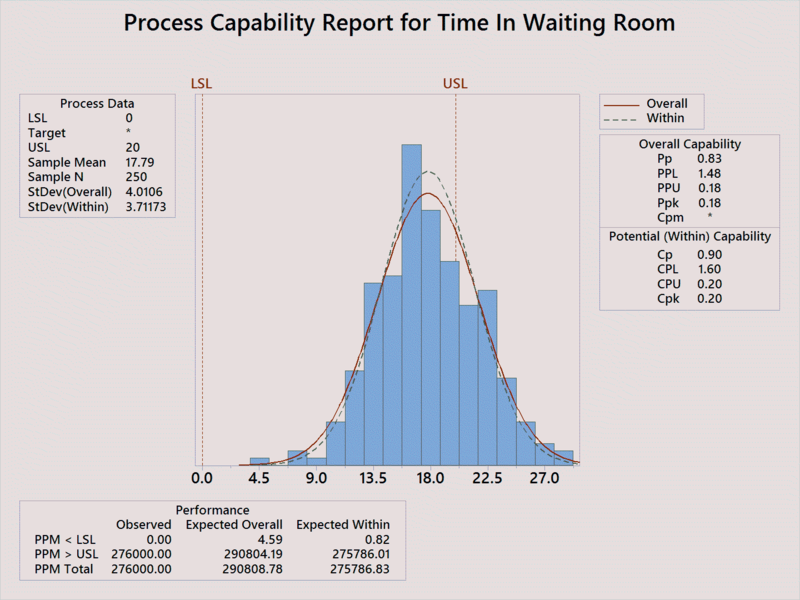 The results of the data collection and USL were reviewed for that continuous data endpoint “Time Spent In Waiting Room” and were plotted as Figure 2 beneath. The Cpk value for the waiting room system was noted to be 0.20, indicating that (long term) the system in place would produce more that 500,000 Defects Per Million Opportunities (DPMO) with the accompanying Sigma level of < 1.5. Is that a good level of performance for a system? Heck no. 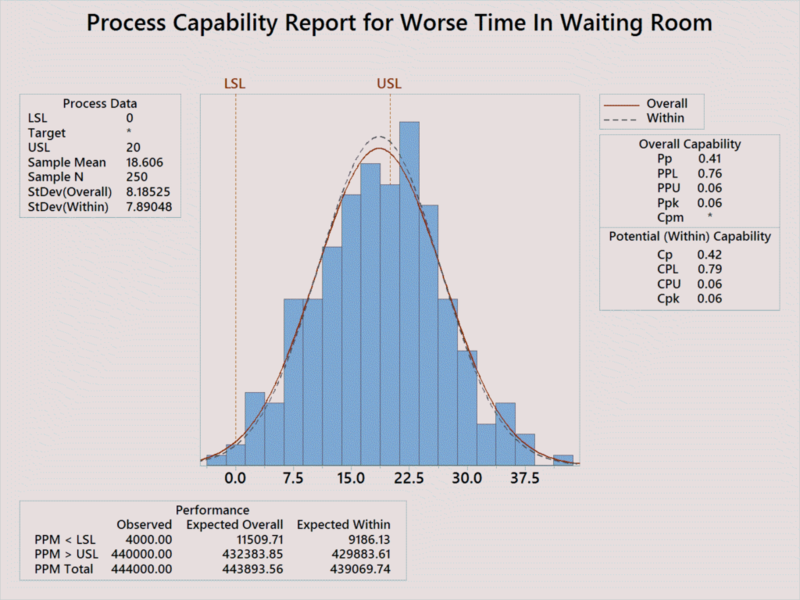 Look at how many patients wait more than 20 minutes in the system. There’s a quality issue there for sure. What about the Costs of Poor Quality (COPQ) associated with waiting in the waiting room? Based on the four buckets of the COPQ, your team determines that the COPQ for the waiting room system (per year) is about $200,000. Surprisingly high, yes, but everyone realizes (when they think about it) that the time Ms. Smith fell in the waiting room after being there 22 minutes because she tried to raise the volume on the TV had gotten quite expensive. You and the team take special note of what you items you included from the Profit and Loss statement as part of the COPQ because you want to be able to go back and look after changes have been made to see if waste has been reduced. That’s not very good! Remember, the COPQ is expressed in thousands of dollars to calculate the HVPI. As a quality improvement facilitator, you’re always looking for ideas, tools, and best practices to apply in projects like this one. So you and the team plan to look in on the waiting room run by the practice manager. Interestingly, it turns out that this system has a central tendency very similar to the first waiting room you looked at–about 18 minutes. Jill mentioned how most patients don’t wait more than 18 minutes and the data show that her instinct was spot on. …but, you and the team notice that the performance of Jill’s waiting room is much worse than the first one you examined. The Cpk for that system is 0.06–ouch! Jill is disappointed, but you reassure her that it’s very common to see that how we feel about a system’s performance doesn’t match the data when we actually get them. (More on that here.) It’s ok because we are working together to improve. When you calculate the COPQ for Jill’s waiting room, you notice that (although the performance is poor) there’s less as measured by the costs to deliver that performance. The COPQ for Jill’s waiting room system is $125,000. (It’s mostly owing to the wasted time the office staff spend trying to figure out who’s next, and some other specifics to how they run the system.) What is the HVPI for Jill’s waiting room? So, despite having lower costs associated with poor quality, Jill’s waiting room provides less value for patients than does the first waiting room that you all looked at. It doesn’t mean that the team can’t learn anything from Jill and her team (after all, they are wasting less as measured by the COPQ) but it does mean that both Jill’s waiting room and the earlier one have a LONG way to go to improve their quality and value! Fortunately, after completing the waiting room quality improvement project, the Cpk for the first system studied increased to 1.3 and Jill’s waiting room Cpk increased to 1.2–MUCH better. The COPQ for each system decreased to $10,000 after the team made changes and went back to calculate the new COPQ based on the same items it had measured previously. The new HVPI (with VOC from the patients) for the first waiting room? That increased to 13 and the HVPI for Jill’s room rose to 12. Each represents an awesome increase in value to the patients involved. Now, of course, the challenge is to maintain those levels of value over time. This example highlights how value provided by a system by a healthcare system for any continuous data endpoint can be calculated and compared across systems. It can be tracked over time to demonstrate increases. The HVPI represents a unique value measure comprised of a system capability measure and the costs of poor quality. Questions or thoughts about the HVPI? Let me know & let’s discuss! 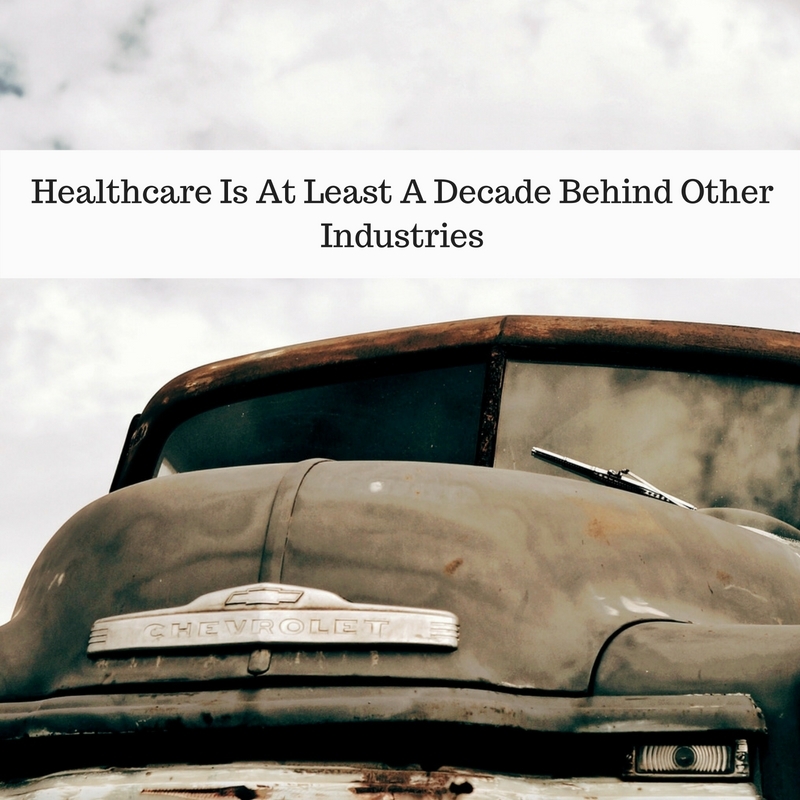 Healthcare is at least a decade behind other high-risk industries in its attention to basic safety. 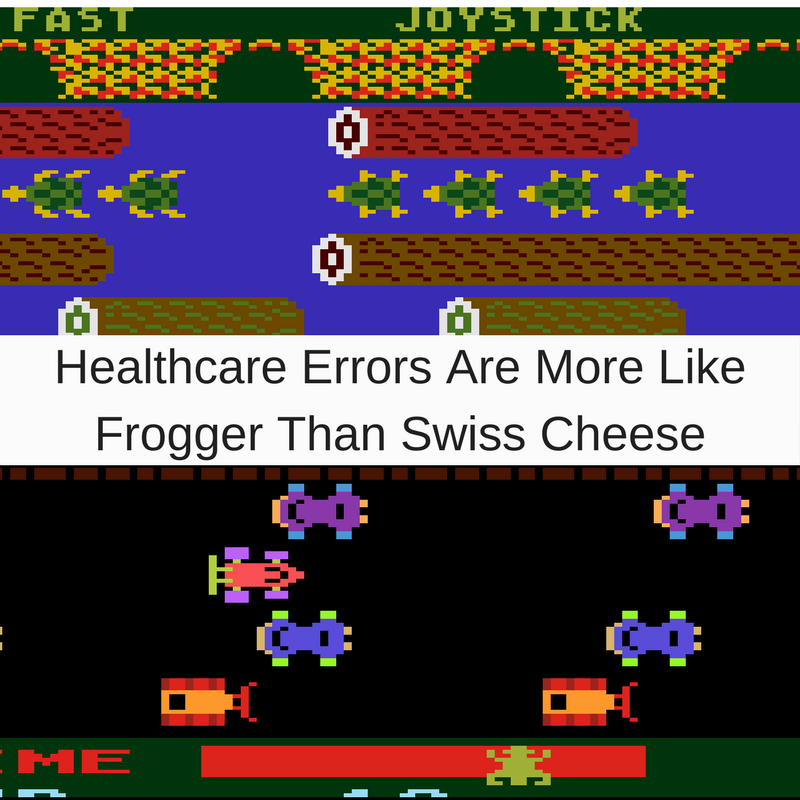 In 1999, the IOM published “To Err Is Human,” which codified what many quality experts in healthcare already knew: in terms of quality improvement, healthcare is at least a decade behind. More recently, a widely criticized paper from Johns Hopkins cited medical errors as the third leading cause of death in the United States. Even if you don’t agree that medical errors are the third leading cause, the fact that medical errors even make the list at all is obviously very concerning. Now, all of that said, I spend a lot of time wondering exactly why we lag in certain key areas. Here’s what I’ve come up with, and I’m interested in any thoughts or feedback you might have. 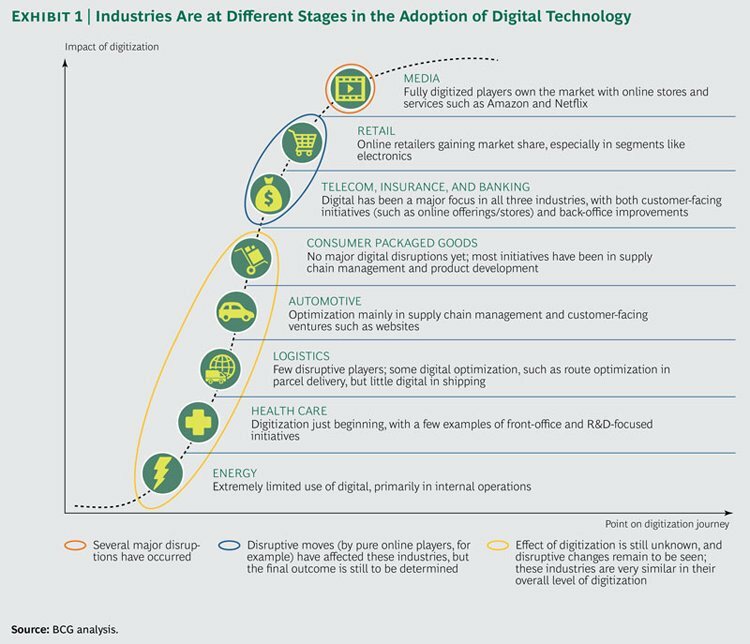 It seems to me that the way the graphic above sets things up implies a progression or goal of digitization. In that graphic, it seems as if we are ranked in terms of progress toward some endpoint of digitization. Let’s take some time and consider whether framing the situation as progress toward some digital endpoint really makes sense. The bottom line is, I think, every time I see a Big Data article or learn about how websites figure out things about my health that I don’t even know, well, I think we are pretty much all-in on this progression towards the digitization idea…at least I am! So, on this one, I believe that (yes) there is a meaningful progression toward digitization across industries and, yes, I feel it’s more useful for healthcare to get on board than it is to lament where things are going or to question whether digitization is meaningful for healthcare…and I especially feel good about it when I remember the days of my training and how I used to have to hunt for Xrays on film, yet now I have the Xray or CT scan on my computer instantly! (2) In part, we are slower to adopt because we deal with people’s health. We don’t build cars or fly planes, really. Although certain lessons learned from other industries are very important, many in healthcare believe our service is different. Some are even skeptical of whether we should adopt tools that worked well across other industries. We work with people’s health, after all. In the United States especially, that’s a very big deal and many regard it as a true calling. So, being the careful people we are (I often wonder just how risk-averse we are) it seems to make sense to me that our field may be slower than others to adopt new things. It’s very conservative and maybe even highly adaptive to be that way. So, bottom line here: part of why healthcare may be slower to adopt emerging trends is because we feel very strongly that only the best, well-worn, known tools should be applied to people’s health. This audience member really hit it on the head. Isn’t it difficult to advance topics like quality (where healthcare is a decade behind) if you’re still reimbursed even when there’s a quality issue? What he’d hit on is the tension between a pure fee-for-service model versus value-based reimbursement. Click image for entire article. Our conversation reinforced for me that much of the quality push, and digitization push, has come from outside of healthcare. When the adoption of electronic health records and other forms of digitization are incentivized via meaningful use initiatives, and the HHS department explains that more and more of reimbursement will be tied to value-based metrics, it’s clear that a significant portion of the push to adopt emerging trends has come from outside what may be considered the typical traditional healthcare sphere. Now, especially to physicians, it can be harder to see the value in moving in these directions. Many in healthcare feel they are pushed toward them. Yes, every physician wants the best outcome for the patient, yet seeing quality as the systematic reduction of variation along with improvement in the central tendency of a population is not always, well, intuitive. Given the backdrop of the very specific, individualized physician-patient relationship, it can be challenging to understand the value of a quality initiative that sometimes seems to play to eliminating a defect which the patient in front of the doctor seems to be at low (or even no) risk for. I’m not saying whether any of this is good or bad, and I’m only sharing what is: we may be slower to adopt these trends in healthcare because they have often come from outside. Rather than commenting on whether this is good or bad, it seems to me that the trend does explain some of why the field is slower to adopt these changes. Having worked in healthcare for more than a decade through many venues, from cleaning rooms in the Emergency Department to work in the OR as a surgeon, I can share that yes we in healthcare are behind other industries in terms of adopting key trends. However, I believe this is much more understandable given the nature of our work that directly (and individually) affects quality and quantity of human life, as well as the fact that (for better or worse) much of the impetus to adopt these trends has come from the outside. I consider it my responsibility, and all of ours as providers, to be on the lookout for ways in which we can adopt well-worn tools that already exist to improve quality and digitization in our field. Let’s make our call to action one where we get on board with these trends for at least those aspects that we reasonably expect may improve our care. 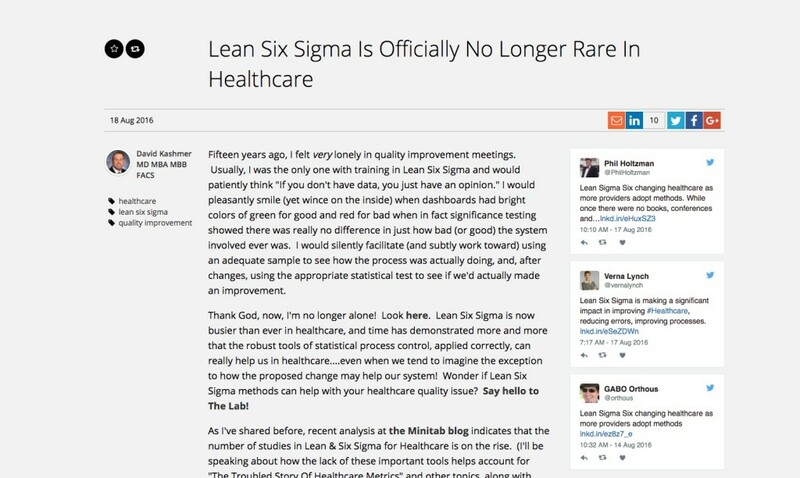 As healthcare adopts more and more of the Lean Six Sigma techniques, certain projects begin to repeat across organizations. It makes sense. After all, we live in the healthcare system and, once we have the tools, some projects are just so, well, obvious! About two years ago, I wrote about a project I’d done that included decreasing the amount of time required to prepare OR instruments. See that here. And, not-surprisingly, by the time I had written about the project, I had seen this done at several centers with amazing results. Recently, I was glad to see the project repeat itself. This time, Virginia Mason had performed the project and had obtained its routine, impressive result. This entry is to compliment the Virginia Mason team on their completion of the OR quality improvement project they describe here. I’m sure the project wasn’t easy, and compliment the well-known organization on drastically decreasing waste while improving both quality & patient safety. 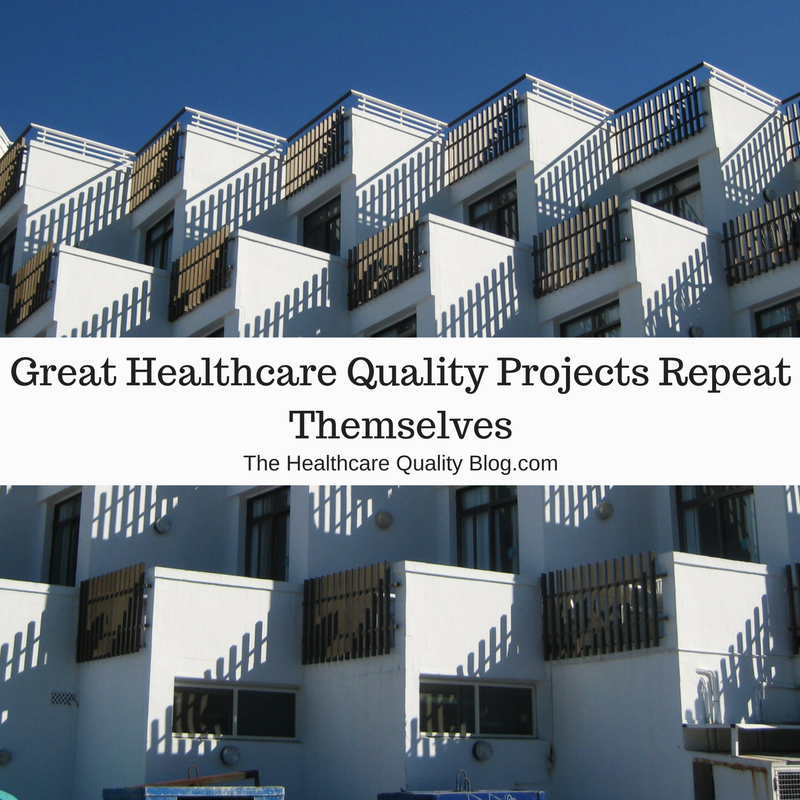 Like many others, I believe healthcare quality improvement is in its infancy. We, as a field, are years behind other industries in terms of sophistication regarding quality improvement–and that’s for many different reasons, not all of which we directly control. In that sort of climate, it’s good to see certain projects repeating across institutions. This particular surgical instrument project is a great one, as the Virginia Mason & Vanderbilt experience indicate, that highlights the dissemination of quality tools throughout the industry. Nice work, Virginia Mason team!